JohnnieFromTheBlog – iPhone, still the best phone? I was following this iPhone4 forum thread the other day when a guy there plants an interesting thought. 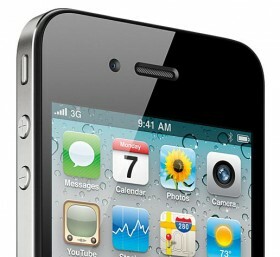 How can we prove that the Apple iPhone indeed is the best phone on the market? First of all, EVERYONE tries to copy it! Samsung, HTC, LG, sony ericsson, Nokia, ZTE, I mean everyone. And with all the copies and look-a-likes on the market they claim: “Better than iPhone” “Faster than iPhone” “Better looking than iPhone” “Higher quality then iPhone” and so on. Everyone is using iPhone as the reference to what they claim to be better then. You never hear anyone go “This Samsung Galaxy is so much better then HTC Desire”. They are going to say that it’s better than iPhone. And it is this fact which proves that iPhone still is the best phone. As long as people use iPhone as their primary reference while comparing other phones it will be true. ← Metro “Daily IT” column fail.